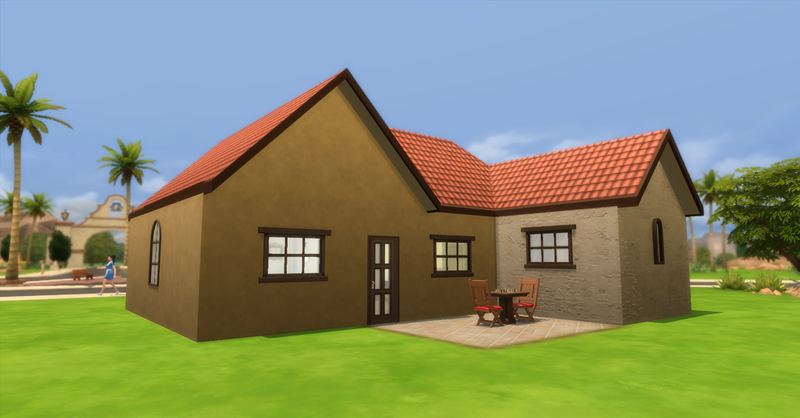 The Prospero Family now has a larger house with more conveniences like their new tv! And they are loving the extra space and comfort. 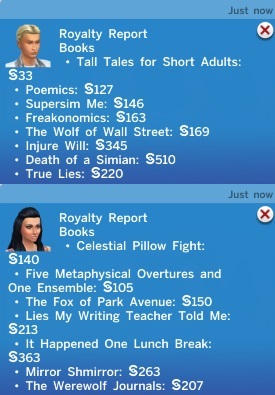 Fortuna is very happy and both Rosabelle and Pawel are doing very well in their careers and have published quite a few books which earn them a good chunk of simoleons everyday. 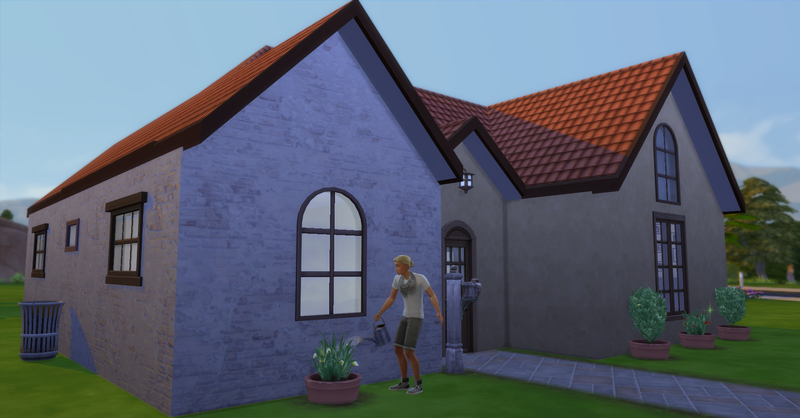 Fortuna and Pawel wake up first, she uses the new bathroom and shower while Pawel tends the garden. Pawel tends the garden. He harvests the snapdragon and lily flowers and then evolves the snapdragon flower to very nice quality. Pawel sells the flower crop he harvested to the local Farmers Market. After he mails his screenplay he finished at the library yesterday to the publishers. 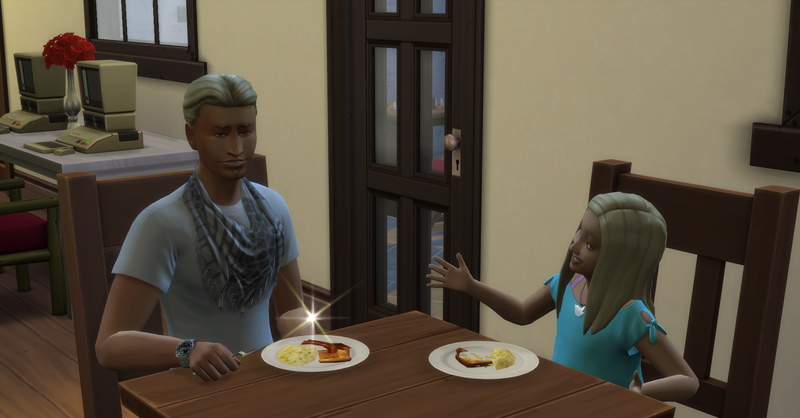 Pawel then eats breakfast with Fortuna. 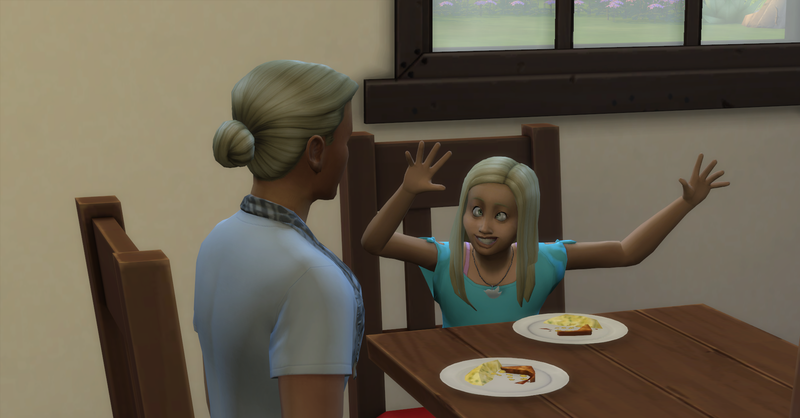 She makes silly faces at him. 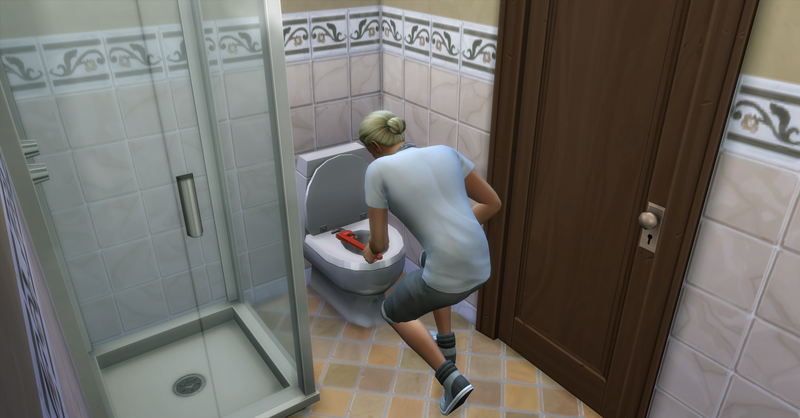 Rosabelle wakes up and uses the toilet, it breaks of course. Then she showers. Pawel comes in and fixes the toilet while she finishes showering. He gets 1 plumbing part, which he keeps. Fortuna draws shapes on her activity table, she is working on her creativity skill for her aspiration. Rosabelle eats eggs for breakfast. Meawhile, Pawel upgrades the only sink with study faucets to reduce breaking. He uses 2 common parts to do this. 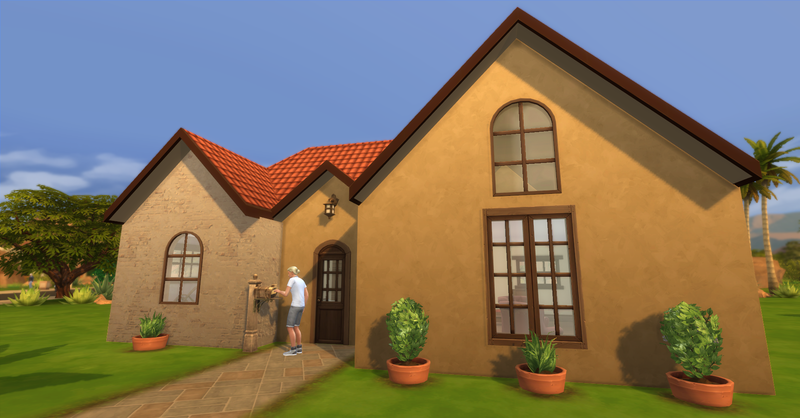 He also upgrades the shower with pulsating massage jets to clean sims faster. He uses 3 common and 1 plumbing parts to upgrade it. Then he upgrades the toilet with superior flush which also reduces breakage, he used 2 common parts for this. After breakfast Rosabelle tends to the garden more and evolves the blackberry bushes to good and great quality. She then goes back inside to work on her book. 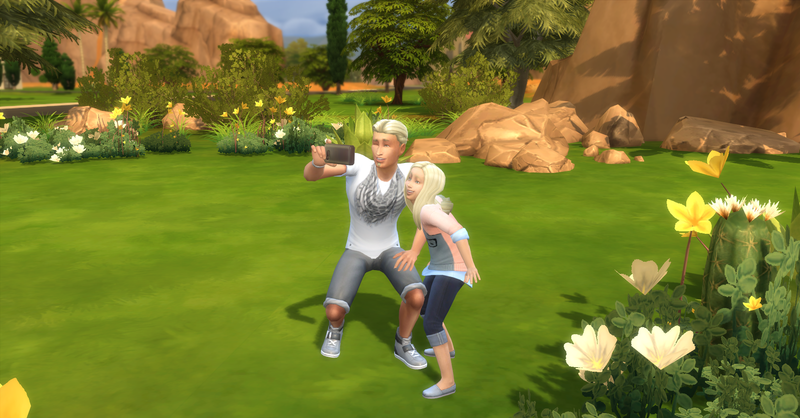 Today’s report, funds §31454 simoleons. Rosabelle continues to work on her book and Fortuna had been drawing away. 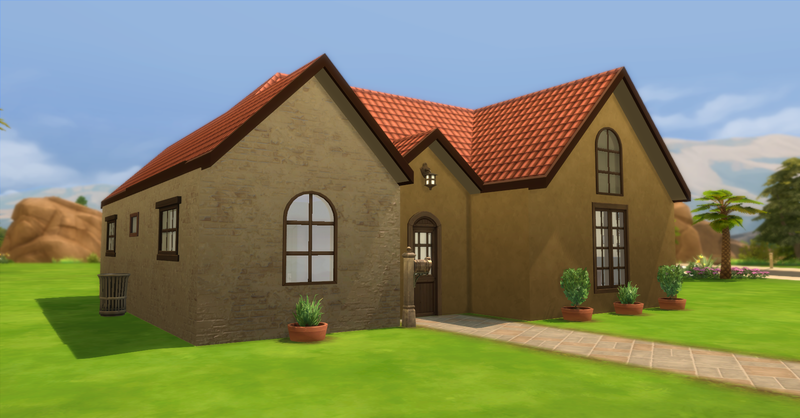 She has created a few duplicates and sells them for §3 each, funds are now §31460 simoleons. 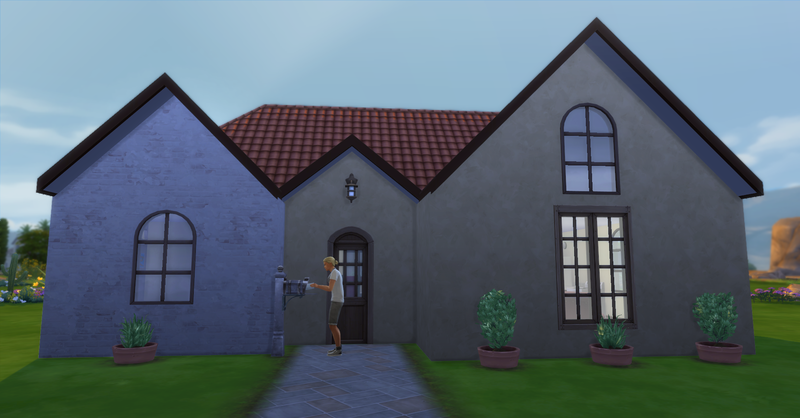 Pawel is now level 5 handiness from upgrading the bathroom items and now he can upgrade kitchen appliances! He upgrades the fridge with reinforced doors to reduce breaking with 4 common parts. Look who is peeking out at us! Dennis Kim comes to visit, but they don’t let him in, they have better things to do. He does not understand, he can see them through the door. Rosabelle goes to work and Pawel and Fortuna, who doesn’t have to go to school today, go on a walk and take some photos for the family wall. Pawel and Fortuna return home and continue to work on their tasks. Pawel continues to writes while Fortuna draws on the activity table. Pawel finishes his book and sends it to the publisher. 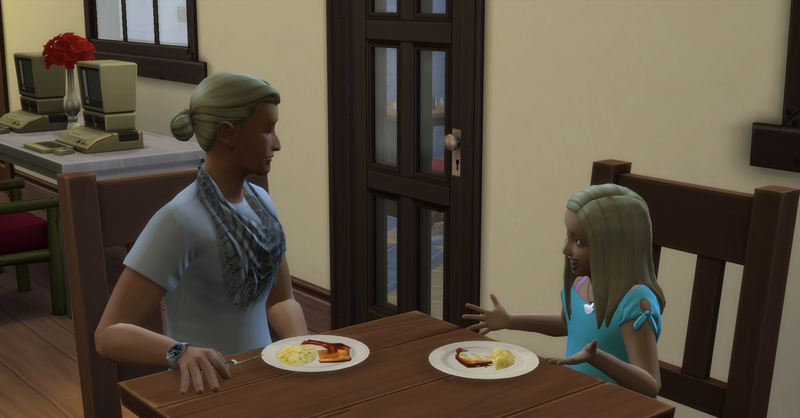 Then he and Fortuna eat dinner and wait for Rosabelle to get home from work. He starts a new fantasy novel called The Clockwork Carnival and Fortuna draws more. 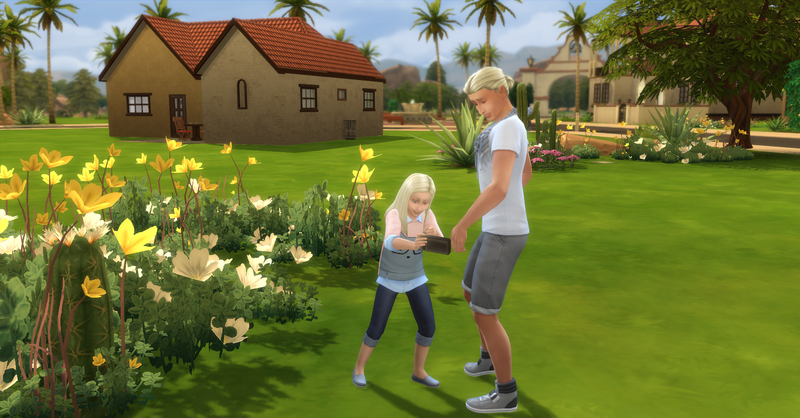 Rosabelle comes home with §480 simoleons from work, their funds are now §31,940. 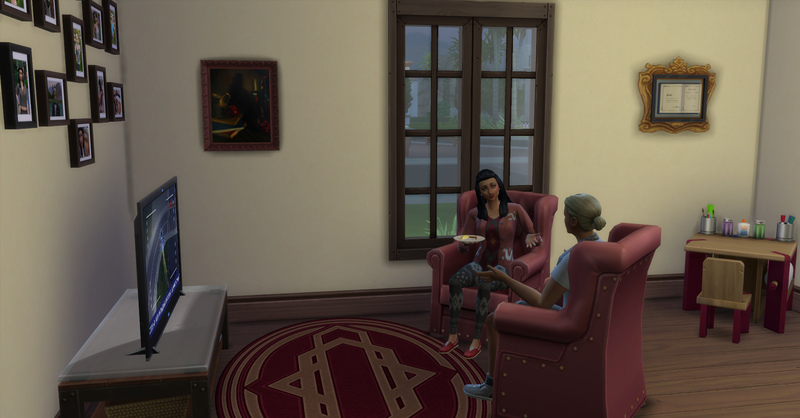 She is tense and hungry so she immediately grabs some food and sits down to watch tv. 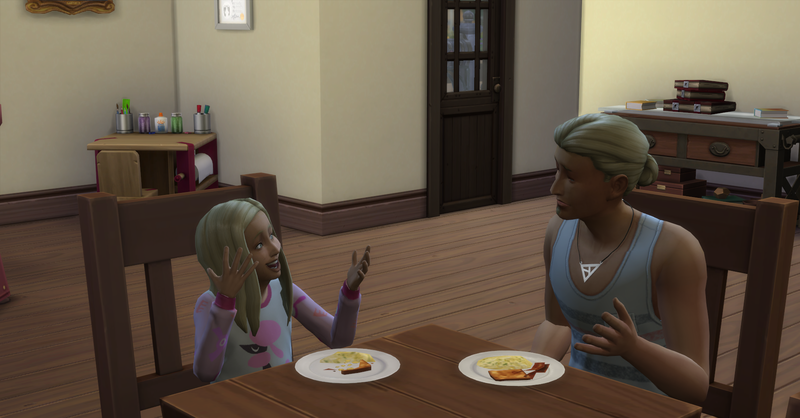 Pawel joins her and asks her about her day. Fortuna goes to bed and Pawel continues to work on his book. He finishes and sends it to the publisher, then he and Rosabelle go to bed too. The house looks great and the gardening is sounding quite exciting with the snapdragon and the lilies. 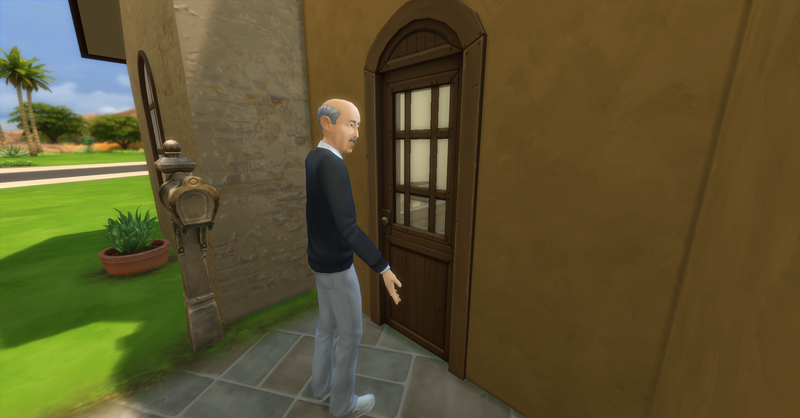 My sims have to ignore sims at the door sometimes, too, when they are working on a goal. Aren’t those pictures for the walls fun? Yes gardening is quite fun and time consuming! I hope that it can be a real money maker for them in the future. 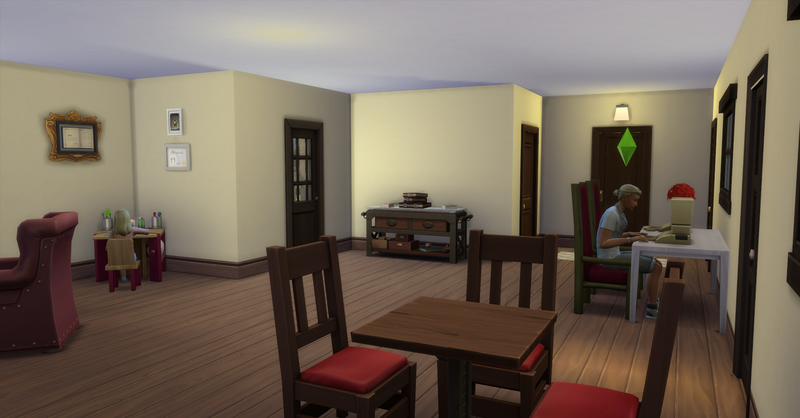 The pictures are my favorite way to decorate for free!